A neutral density filter is a must-have for professional photographers when shooting in conditions where bright light is present to ensure that overexposure is prevented. The Breakthrough Photography X4 Neutral Density Filter is said to offer excellent neutral color ND filter for landscape photographers. Also, unlike most neutral density filters which display a vivid blue or magenta cast, the manufacturer claims that the X4 ND filter has a perfectly flat transmission curve to give you the best neutral color outcome. Let us take a look at it and determine whether it works as it claims. For the most part, ND filters are usually evaluated through technical attributes such as sharpness and color cast. Both of these are highly guaranteed. In addition, the Breakthrough Photography X4 Neutral Density 10-Stop Filter offers other great features discerning photographers will surely love. The Breakthrough Photography X4 Neutral Density filter is made with a very clear crown glass called the SCHOTT Superwhite B270® optical glass. This glass yields superb transmission in different spectrums. It also features a superior surface quality highly compatible with the filter’s state-of-the-art optical coatings. In general, all neutral density filters reduce the amount of light that goes through the camera lens without affecting the real color of the scene. This feature prevents photographed images from becoming washed-out or overly bright. For landscape and nature photographers, using a neutral density filter such as the X4 ND will allow them to have proper exposure at a wider lens opening. The reduced depth-of-field will enable you to highlight the main subject of the photo by either blurring the foreground or the background. Having a color cast is quite common in most ND filters. However, because the Breakthrough Photography X4 ND is manufactured using non-traditional methods, it has the flattest transmission curve. Thus, shooting the most color neutral photos is possible. Aside from improving the filter itself, the frame that holds it was also upgraded. It consists of high-quality brass machined with the company’s well-known traction frame. The concept of having a traction frame is very convenient as it lets you attach or remove the filter with ease. It has a solid build, and because it’s made of brass, there’s no galling or binding to worry about. The MRC16 optical coating means it has 16 layers of multi-resistant coating. The Nanotec coating technology is hydrophobic, meaning it repels and beads water instead of absorbing or smearing it. This technology extends the lifespan of the filter and also renders it highly-suitable for use in the field where extreme weather conditions and natural abrasive elements such as salt, wind, and dust are expected. The layers of the multi-resistant coating not only contributes to the filter’s longevity but also affects the quality of the image produced. According to Breakthrough, the added layers of coatings on each side of the disk steadily increase light transmission while flaring is decreased. Their lab tests showed that the peak of light transmission is at 16 layers of coatings; thus, they layered eight coatings on each side of the optical disk. The product is guaranteed to be free of manufacturing defects for decades. The proprietary coating is said to be physically harder than the optical glass disk itself. Nevertheless, they’re giving owners 25 years of support once the online guarantee is activated. The product is quite expensive considering that you only get a single piece of filter. On the other hand, if you will also evaluate the specificity of the features it offers, you will understand why it’s totally worth the price. If you’re a fan of drop-in filters, you may find this a minor drawback. Regardless of its screw-on design, it is still very easy to manipulate thanks to Breakthrough’s signature traction design. The Breakthrough Photography X4 Neutral Density Filter, although expensive, has exceptional craftsmanship. It is designed with a traction frame for ease-of-use regardless of the weather condition you’re in during a shoot. The incorporated MRC16 (multi-resistant coating) guarantees excellent image sharpness, color neutrality, and product durability. Also, this cutting-edge technology used in manufacturing the optical glass disk is anti-scratch, water repellant, oil and dust resistant, and has reduced reflection. Excellent light transmission is also assured in different spectrums such as visible, ultraviolet and infrared. In addition, the coating is said to be stronger than the glass itself, which ensures that the disk is protected and would have a long lifespan. Since it’s very important to capture the color of the subject as close as possible to the real thing, the manufacturer of the Breakthrough X4 ND filter made it their priority to help capture images in as truly neutral color as possible with no visible color cast and darkening on the edges, known as vignetting. A similar neutral density 10-stop filter worth comparing to Breakthrough’s X4 ND 10-Stop Filter is the NiSi 10-Stop ND Filter. It’s a must-have filter for many landscape photographers because it extends exposure time while also displaying zero noticeable colors cast on images. The filter is also made of real glass which is scratch-resistant compared to filters made of resin. It also has Nano coatings on each side to repel water and oil. When it comes to packaging, NiSi offers a bit more extra by adding a filter pouch and a filter holder made of aluminum. The holder is adjustable enough that you can add a circular polarizer behind the ND if you feel the need to. When it comes to the subject of color casts, the NiSi 10-Stop ND filter also displays no evident color cast of blue or yellow which is a common problem among neutral density filters. Sharp image quality is also a strong attribute much like the X4 ND 10-Stop Filter. However, there are problems with the quality of its gasket. The filter market is continuously growing as innovations are being introduced. Nevertheless, it always boils down to how well-crafted a filter is and the results it yields. The Breakthrough Photography X4 Neutral Density 10-Stop Filter promises both. 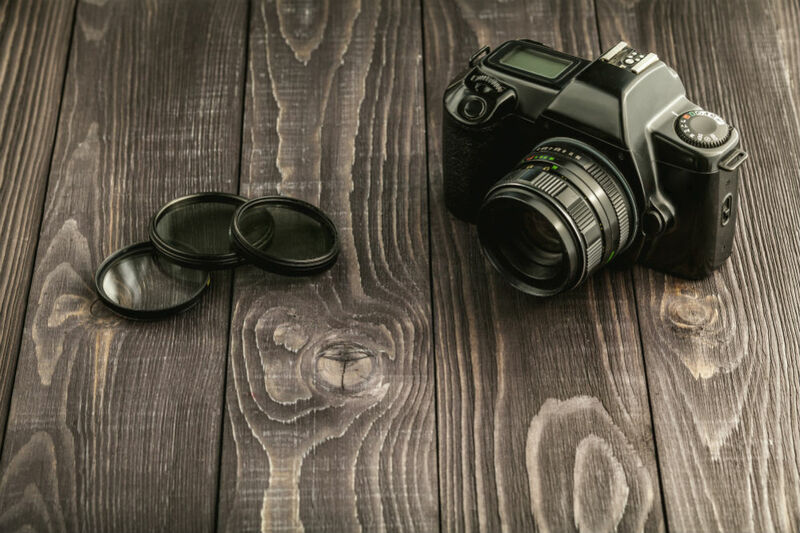 It’s quite expensive as it is, but considering the quality of photographs you can produce using the filter, it’s safe to say that it’s a product worth investing on especially if you are a professional.